How do I navigate O’Hare and Midway with a baby? Worldwide icon-chevron-right North America icon-chevron-right United States icon-chevron-right Illinois icon-chevron-right Chicago icon-chevron-right How do I navigate O’Hare and Midway with a baby? Airports are stressful places for all travelers these days, but a baby and all of the gear that accompanies one definitely up the ante. 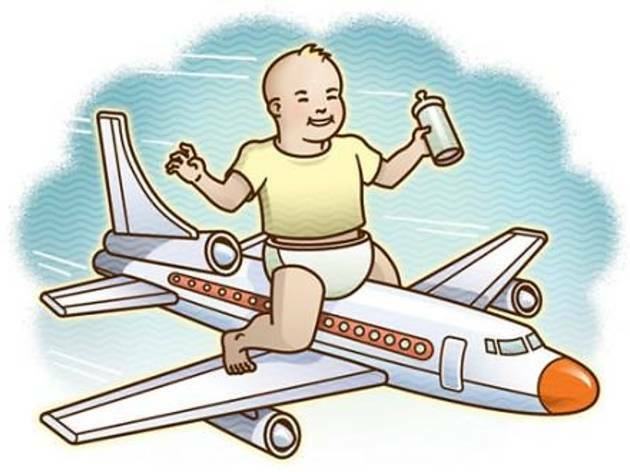 The most recent Transportation Security Administration rules state that parents flying both with and without their children may carry breast milk and formula in “reasonable quantities” greater than the three-ounce maximum for other liquids, as long as they’re presented separately from other items for inspection. 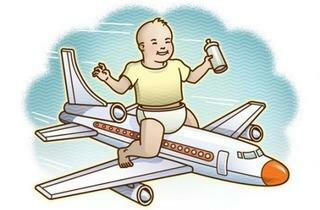 You also can bring gel or liquid-filled teethers and canned, jarred or processed baby food in carry-ons aboard planes. Both airports have designated “Family/Medical Liquids” security lines, but you can opt for any of the available lines (if you can stand the glares from the rushing travelers around you). Children who can walk on their own will be asked to go through metal detectors by themselves, while infants can be held. At O’Hare, there are 23 family/companion restrooms where parents can take children of both sexes. The Travelers’ Aid office on the secure side of Terminal 2 has a room that can be used for breast feeding away from crowds, and TA volunteers at information booths will call for diapers, wipes, formula and bottles if you’re in a bind. The larger Hudson stores also sell diapers. At Midway, there are six family/companion restrooms, and the Chicago Department of Aviation is testing a bottle warmer at one in Terminal 2, which already has a fold-down bench for nursing mothers. You can buy infant and kids’ clothing at Kid Works in Midway’s main terminal, and diapers are available at all Hudson News and Relay stores, plus Hudson Euro Café (main terminal).